May 2016 - Sonbuilt Custom Homes Ltd.
As housing prices continue to rise in the Fraser Valley and the cost of land increases, there is growing interest among homeowners to tear down the home they currently live in and build a new home on the same land. A common question when thinking about tearing down the home you currently live in – is this a good idea or not? Older homes with structural issues, homes with outdated kitchens or limited bathrooms, and homes that incur increasingly high energy bills are often identified as homes to demolition. Structural concerns can be expensive to repair and frequently these repairs do not add extensively to the value of the home were you to consider selling. Whole house renovations involving changing room sizes, updating finishes, and adding more rooms can be expensive. There are times when demolishing the home and building new may not be that much more than a renovation. How Do I Decide Between a Renovation and a Teardown? Sometimes the cost to repair an older home is just not worth it. An abundance of mold, a damaged foundation, extensive rot in the structure – problems can lead to surprisingly expensive repair costs. Unhealthy indoor air, hazardous older materials, wet basements. These concerns need to be addressed to ensure the home is safe to live in. Does the home need new windows, updated electrical wiring, and a new roof? Does the existing layout make sense for your family or would a renovation include extensive floorplan changes? Demolishing the home and building new may be the best option if the cost of a renovation is high. What Is the Cost to Tear down a Home? Tearing down a home can vary in cost. Prices can depend on the size of the home, the location of the site, and what hazardous materials are found in the home. Your local municipality will be able to determine what permits are needed for your specific home. Every home is different and each municipality has its own requirements before a demolition can be done. Worksafe BC will require a “Hazardous Materials” report before a teardown can begin. This report will identify what hazardous materials are in the home. Some materials may need to be removed prior to demolition. How Much Will a Hazmat Report Cost? Depending on the size and age of the home, a hazmat report can start at around $500. How Long Will a Demolition Take? 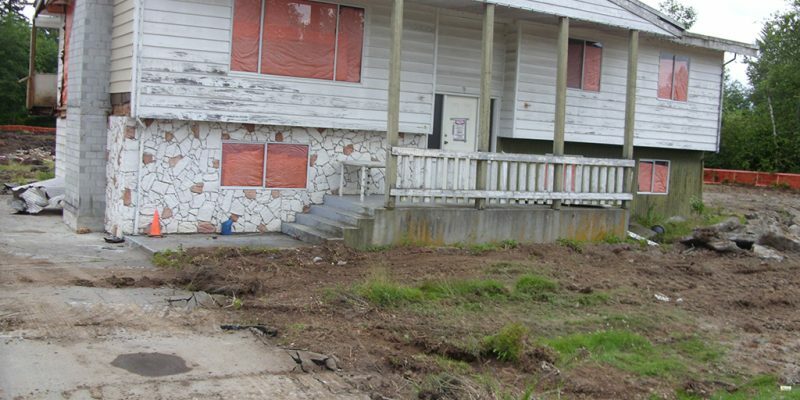 A home can be torn down in just a few days once reports and permits are in place. If you like your neighbours and want to keep your kids in the same school but find that your home just isn’t suitable for your changing needs, consider tearing down your home and building a new one. I’m sure you have many questions and we’d like to help answer them. Contact us today. We are happy to chat! A carriage house, also known as a coach house, is a second house located on a residential property. As housing prices go up in the Lower Mainland of British Columbia, including the Fraser Valley, building a carriage home can be a practical solution for accommodating college aged family members or aging parents. 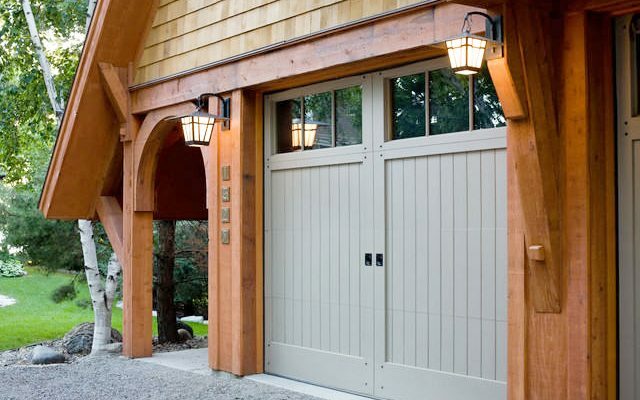 Carriage houses are also a great way to bring in some residual rental income. One of our current design projects is a carriage home. This eco-friendly house will have plenty of storage, boutique style living quarters, and a generous workshop. Our client is going to be installing a residential rainwater harvesting system as well. We are excited to be designing this coach home! We are also in the finishing stages of building an energy efficient coach house in the Fraser Valley. This home is using solar, geo exchange, rainwater collection, and other energy saving technologies. Are you thinking of adding a coach house to your existing property? We are experienced in both the design and construction of these homes. Call us today!